Product prices and availability are accurate as of 2019-03-25 11:12:33 EDT and are subject to change. Any price and availability information displayed on http://www.amazon.com/ at the time of purchase will apply to the purchase of this product. 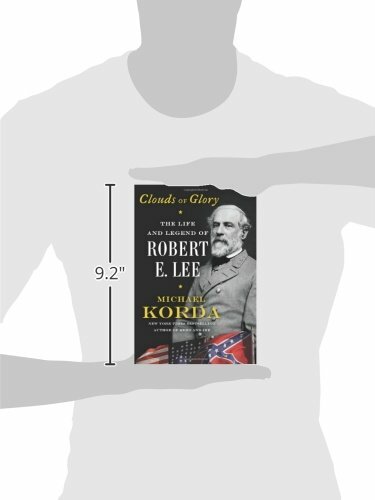 New York Times bestselling author Michael Korda's fresh, contemporary single volume historical biography of General Robert E. Lee—perhaps the most famous and least understood legend in American history and one of our most admired heroes. Michael Korda, author of Ulysses S. Grant and the bestsellers Ike and Hero, paints a vivid and admiring portrait of Lee as a brilliant general, a devoted family man, and principled gentleman who disliked slavery and disagreed with secession, yet who refused command of the Union Army in 1861 because he could not "draw his sword" against his beloved Virginia. Well-rounded and realistic, Clouds of Glory analyzes Lee's command during the Civil War and explores his responsibility for the fatal stalemate at Antietam, his defeat at Gettysburg (as well the many troubling controversies still surrounding it) and ultimately, his failed strategy for winning the war. 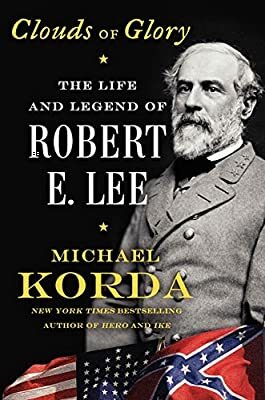 As Korda shows, Lee's dignity, courage, leadership, and modesty made him a hero on both sides of the Mason-Dixon Line and a revered American icon who is recognized today as the nation's preeminent military leader. Clouds of Glory features dozens of stunning illustrations, some never before seen, including twelve pages of color, twenty-four pages of black-and-white, and nearly fifty in-text battle maps.